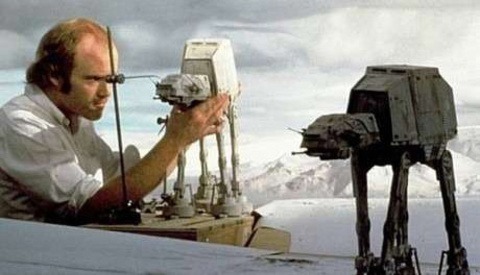 We recently came across this collection of behind-the-scenes photographs from the filming of the original Star Wars trilogy (A New Hope, The Empire Strikes Back, and The Return of the Jedi). To see Sir Alec Guinness working on his tan in a pair of oversize sunglasses, Chewbacca unmasked, and Carrie Fischer about to get intimate with C-3PO, check this out! On March 12th 2012, 36 recent prints by photographer William Eggleston sold for $5,903,250 at a Christie's auction. That's equivalent to one roll of film! This was the first time Eggleston created digital pigment prints, as opposed to his usual dye-transfer process that he's used since the 1970s. 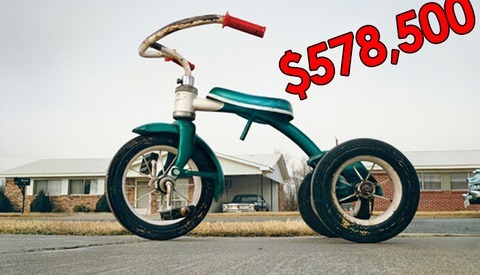 The highest selling print , "Untitled, 1970", which depicts a child’s tricycle brought in $578,500. 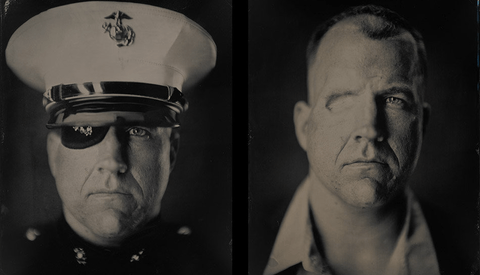 I'm fascinated by this series of military portraits by Melissa Cacciola. As the earliest photographic processes become more and more rare, it's refreshing to see a series like this one. 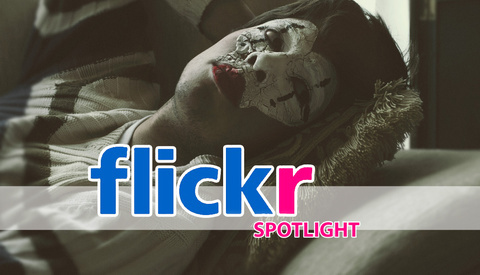 These photographs capture more than just the person's image. At the risk of sounding cliche, it feels as if we're getting a glimpse into the subjects' heart and soul. She photographed each of them in uniform, and in their civilian clothes. The Digital Bolex is a cinema quality digital camera. Which is to say it shoots RAW images or digital negatives, instead of compressed video. And the kicker is, the Bolex is not just designed with pros in mind but consumers as well, by making it inexpensive (relatively speaking), compact, and easy to use. Like a lot of great ideas that come to market these days, this project is being launch via Kickstarter. The Digital Bolex shoots it's footage at a native resolution of 2048 x 1152 in Super 16mm mode. If you don't get why all of this is so cool, then be sure to watch the promo video. Clowns are usually known for making kids happy (or scared to death), and for smiling and laughing all the time. They are also known for being active and with a lot of good energy. But what happens when clowns go back home and back to reality? 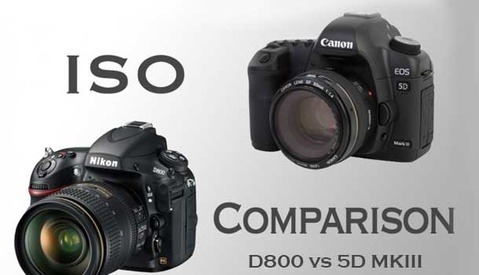 The Nikon D800 has been much criticized for its enormous megapixel count. 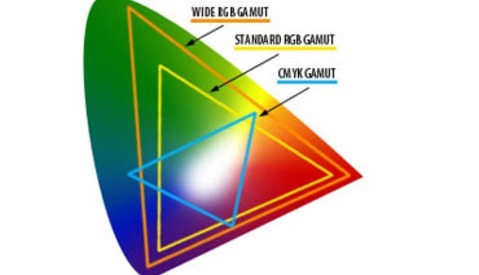 And some have worried that packing 36 megapixels into a full frame sensor might lead to decreased low-light performance. These samples, however, push those worries aside. It's no D4, but for 36 megapixels, I think Nikon should win an award for this. 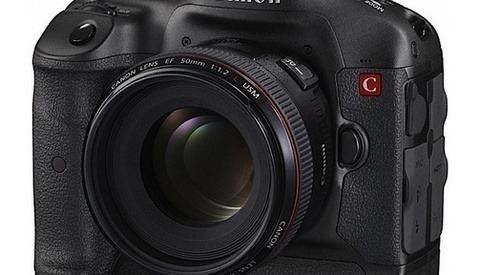 Canon took a different route with the 22-megapixel 5D Mark III, but that paid off, too. See for yourself in the full post! 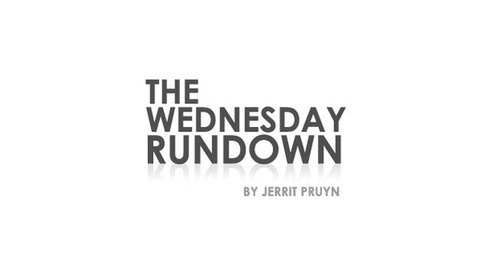 Howdy and welcome to the Wednesday Rundown. This week we have a BTS video on Dean Bradshaw's action composite photos. See him shoot the athletes then compile them together to create an awesome scene. Also see the behind the scens on a promo See-Doo shoot. If you have a video that you think we might like to post, please click on "submit content" above. It's already been an exciting month for gear enthusiasts. Obviously, the major camera body announcements from Canon and Nikon have taken most of the spotlight. We have also seen new Pocket Wizards, as well as a shinny new version of Adobe Lightroom 4 come out. But what about the glass? Sure, Canon revised a few lenses, but I'm talking about a whole new lens. 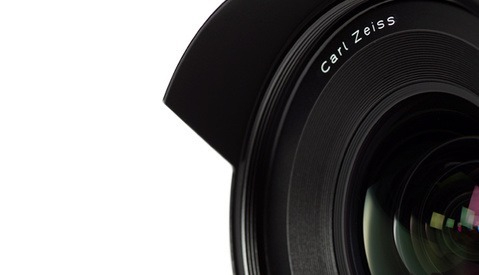 Carl Zeiss is apparently looking to step up and fill this void. The Photoshop team rolled out a video which showcases some of the direction which Adobe intends to go in the future. It was shot and then edited entirely in a future version of Photoshop. Though the video itself is pretty standard, it's a glimpse of what's to come. Do you believe that Adobe should keep video editing separate from Photoshop? We want to hear your thoughts. [News] Canon 1D X Available for Pre-Order! 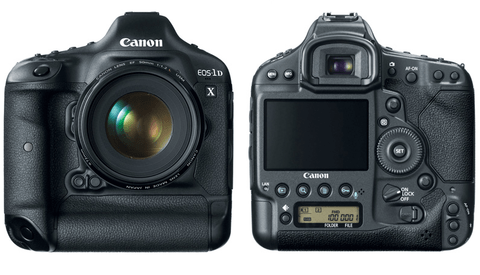 Canon's flagship 1D X was announced quite early. But thankfully, it's now available for pre-order at B&H PhotoVideo or at Adorama! The 1D X features full 1080p video, better autofocus, an insane 12fps continuous shooting at the full 18 megapixels, and improved metering, among plenty of other features you'd expect from the best of the best at Canon. Find all the information you'd want on Canon's page. B&H even says quantity is limited, so if you want it anytime soon, pre-order now! 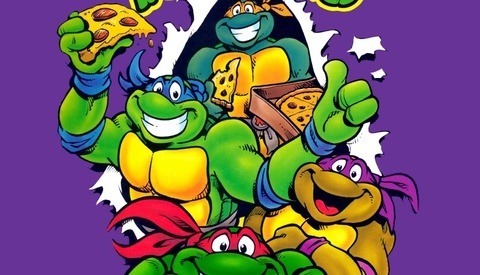 If you grew up during the late 1980s through early 1990s, then you can remember the Teenage Mutant Ninja Turtles. Using a combination of action figures, about 60 hand-drawn backdrops, and over 4,000 individual images, director Kyle Roberts pays tribute to this classic cartoon with a stop motion animation. This is one you won't want to miss. 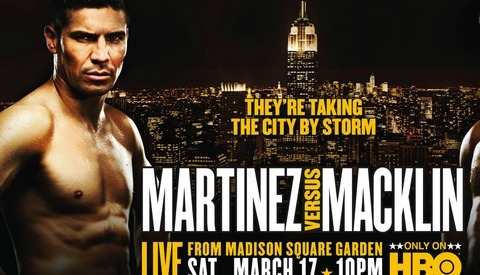 Good friend of Fstoppers and Commercial Photographer, Monte Isom, takes us behind the scenes on his latest shoot with world class boxer, Sergio Martinez. Click through to the video to check out his lighting placement and setups. Enjoy! In this oh so clever DIY video by Casey Neistat, he shows us how he fashioned a replacement lens hood on his Sigma lens by re-using the cap from a peanut butter jar. I'm sure that this method wouldn't work with every lens but if you ever get into a situation like this and need a quick fix, this video just might come in handy. With NAB just around the corner, the rumor mill has started to spin with regards to what Canon is planning on announcing near the start of the annual video conference held in Las Vegas. Contenders include a 4K DSLR style camera, new cinema lenses similar to those released back in November, or something completely different. Shot with the Red MX Camera, director Andrew Huang created this incredible short film about the gaps between people and the way those gaps are filled. Solipsist is the antithesis of human connection. 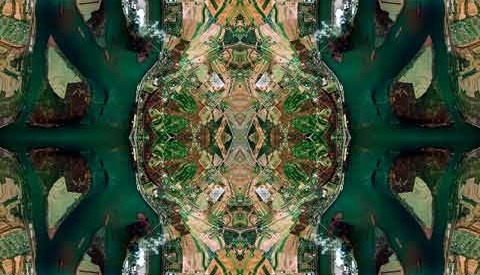 This video had me glued as the models swayed back and forth in a Yin & Yang fashion, often times co-creating each other. Martin Schoeller is undoubtedly one of my favorite photographers of all time. Not because his work is timeless, although much of it is, but because it is fresh and sharp and isnt always to be taken so seriously. Here is such a series of celebrities that Schoeller has created, but feel free to take his lighting, style and technique seriously. Enjoy! Haristobald's photostream has some interesting shots in it but what is more interesting is how he produced them. Using an old school, overhead projector, A4 sized transparencies, a strobe and a bit of mechanical know how, Haristobald can now transform his environment and his models. 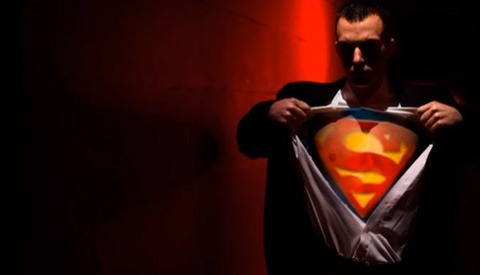 See behind the scenes of his latest Superman shoot and jump into the full post to see a video on how he modified an archaic device into a useful photography tool. Benjamin Von Wong just hit me up, from his facebook account, to let me know his latest BTSV is out. His 9th, here on Fstoppers, if I counted correctly. And this time no one had to be set on fire but they did have to bend over backwards. Enter contorsion artist, Myriam Deraiche. 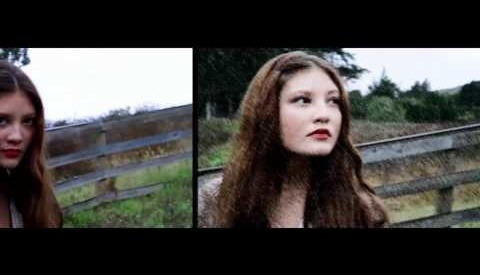 See what happens when professional photographer, Mark Chung, hands his camera over to professional model, Callie Roberts. Given just a couple hours to instruct one another, each are then asked to do one another's job. A heads up for all our model readers: this video does seem to focus more on the photographer's role and less on the model's. Which, despite the inference, I know to be quite difficult. Only a few times have I ever questioned what I'm doing with my life. This video makes me wonder why I am not pursuing this. 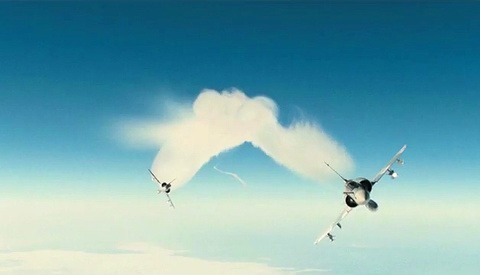 This is a remixed trailer of a movie called Les Chevaliers du Ciel, which means, Sky Fighters. Whatever the name, this video showcases some of the cleanest and most captivating footage I've seen from the skies. 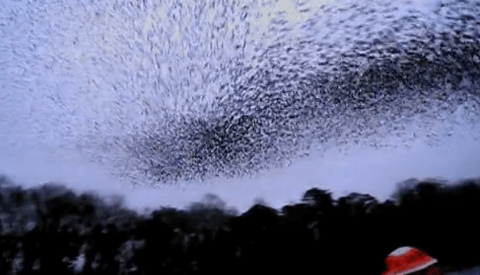 Owe it to yourself to get lost in this visual feast. 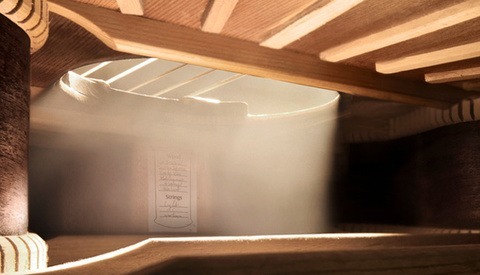 Commercial photographer Dean Bradshaw provides us with a unique perspective of his recent photo shoot for "Startrac". 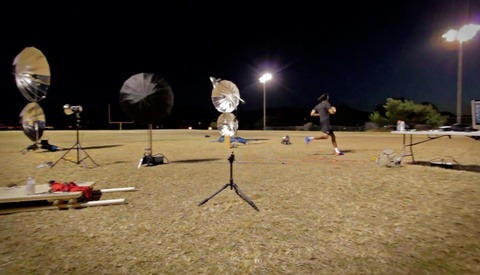 The shoot involved a handful of athletes being shot while mock competing in their individual sports. The athletes were shot in a controlled environment and then composited into different backgrounds in post. The new Disney flick John Carter certainly seems like a breath of fresh air to movie-goers everywhere. A unique concept, interesting storyline, and dazzling special effects are all coming together to make this one movie that I know I'll be seeing on the big screen. Check out a behind-the-scenes video detailing the special effects handiwork that went into making this story a reality after the jump. 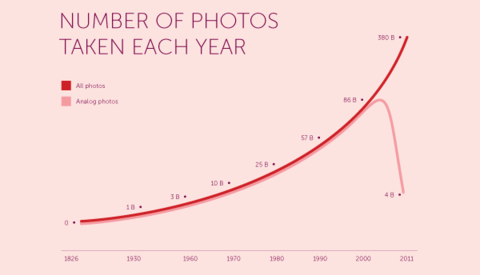 [Stats] How Many Photos Have Ever Been Taken?